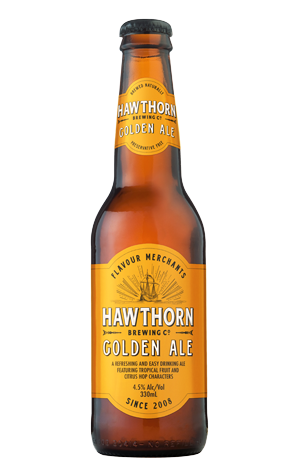 Golden ales became all the rage for many Aussie brewers in 2013/4 – heck, even Crown released one – and among those bringing one to market was Hawthorn. They did it rather well because, after missing out on entering the Australian International Beer Awards, they sent some to the UK for the International Beer Challenge where it promptly won a trophy. The beer itself has one of the most enticing aromas we've yet encountered in a golden ale, with soft, broad aromas of melon and tangerine rising from the glass. It's light as anything on the palate, with the barest of sweet malt characters there to do the jobs of showcasing the British, American and Australian hops and providing refreshment. It's over pretty quickly, as is typical of the style, cleaning up dry with just the faintest lingering bitterness.